2LP Chicago II album remixed by acclaimed producer Steven Wilson! 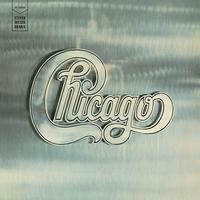 Includes "25 Or 6 To 4," "Ballet For A Girl In Buchannon"
Originally released in January 1970 as Chicago (and later dubbed Chicago II ), the album was a major breakthrough for the band and features some of the group's biggest hits, including the Top 10 singles: "25 Or 6 To 4," "Make Me Smile" and "Color My World." Long time Chicago fan who has an original first pressing of this classic. It suffered from muddy production with a lack of dynamics. Although I am usually a champion of the original presentation, this remix is so good, I have a hard time listening to the original. Steve Wilson's remix reinvigorates the entire album. A tremendous effort and the one to buy.